A glossary of facts that enhances your perception through your journey of understanding totality, your choice of selective thought which allows you to have clarity that is of utmost importance when understanding truth. 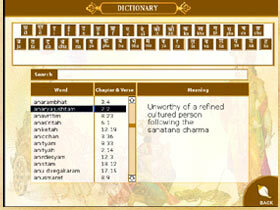 This method of understanding delivers the impact, which is necessary when translating wisdom to one's practical life. This glossary included, is a projection of the statement that states the origin of understanding must have a initiation that simplifies the end cause. Initiation thus must give the freedom of choice that allows the seeker to know what he wants.